Katie Says Goodbye – Trailer & Clips! We’ve already talked about how great Olivia Cooke is on her rise to stardom, and it looks like another stellar performance is on the way in Katie Says Goodbye. The film stars Cooke as a a seventeen year old waitress in the American Southwest to fulfil her dream of living in San Francisco. It’s an odd trailer, but the film looks quite good; this ad feels a little disjointed and is maybe showing us a little too much, but the content is powerful and uncomfortable, and Cooke already shines amongst a great cast that also includes Mary Steenburgen, Christopher Abbott and Jim Belushi. Reviews so far have been good so let’s keep our fingers crossed. Katie Says Goodbye currently does not have a UK release date. You know when you see a true story that’s so bizarre that you almost can’t believe it? This is a blessing I have as someone with very little knowledge of history in any category, as it heightens many films to levels that I may not see them on if I had a single clue about it. There was no better example of this than I, Tonya. As great as this film is, I wish it had come out in a different year; Margot Robbie was always a lock for a Best Actress nomination at the Oscars, Allison Janney was always a lock for Best Supporting Actress nomination, but this film deserves so much more. It deserves nominations for Best Picture, Best Director, Best Supporting Actor, Best Adapted Screenplay, Best Cinematography. Unfortunately, this was a very stacked year. In any other year, I bet we’d be seeing this all across the board, but in a year as brilliant as this, it didn’t stance a chance. I, Tonya is an exhilarating biopic that takes a surprisingly respectful approach to someone who couldn’t gain it in real life, but still manages to be honest. There’s no need to sugar coat anything, Harding’s issues are all present but they’re all rooted in much deeper issues. From the way it’s shot to its quick editing, and the fluidity of the camera, it’s a vibrant film that never stops. It holds a lot of pride and a lot of shame, and whether you like scandals/gossip or not, the drama is tantalising and impossible not to eat up. I don’t know how accurate this film is. As far as I can see, it seems pretty fair – but this has to be one of the most jacked up and slightly hilarious true stories I’ve ever seen on film. Everything regarding the character of Shawn Eckhardt is as funny as it is disturbing, and if you don’t already know the story of the Nancy Kerrigan attack, it’s worth reading up on. It’s one of the biggest scandals in American sports’ history and this film gives it the gravity and impact that it deserves. Beyond just being a phenomenally put together film, the performances are outstanding; some great supporting performances – particularly from Paul Walter Hauser – but it really comes down to the three central actors. 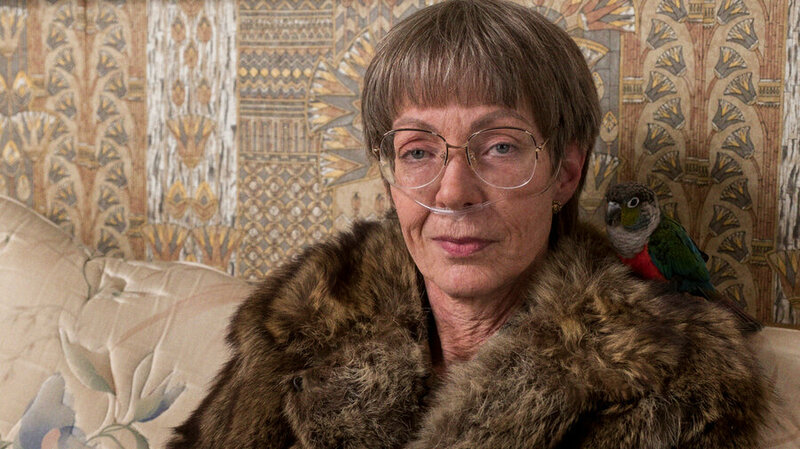 Allison Janney offers something we’ve never quite seen from her. We love her comedic performances and her bit parts in dramas, but here she embodies a totally cold and detached woman, and what sells this character is her absolute refusal to every believe that she’s wrong. This is what Janney does best; bringing such stubbornness and ignorance to her character that makes her down right despicable. We’ll all be pleased to see her pick up an Oscar next year. Sebastian Stan is beyond words brilliant, another performance that we haven’t really seen from him before; he’s irritable, psychotic, and just a down right weasel. Stan takes you through all the possible reactions to this bizarre character in all of his ups and downs, and the fact that he’s not nominated for Best Supporting Actor is absolutely criminal. But of course, it all comes down to our leading lady, an actress who has finally found her perfect role. Margot Robbie is very talented, but her talent has been wasted in recent films like Focus and Suicide Squad, so for her to take on a real and powerful role is not only refreshing, but reassuring. Robbie embraces the standoffish and foul mouthed nature of Harding and joins it greatly with the graceful and mesmerising talent she possessed. It’s a sympathetic and magnificent performance, and while Frances McDormand is a lock for this year’s Best Actress, I would be far too happy to see an upset. It has some minor issues; the CGI ice skating is a little bit distracting, and the film has a weird habit of switching from narration to fourth wall breaking for no good reason. Regardless of that, I, Tonya is an exciting, tantalising, oddly hilarious and brutally honest. It’s only February, but this is already one of the best films of the year. I, Tonya is out DVD & Blu-Ray now! I don’t think it’s a stretch to say that Ocean’s Eleven is one of the best remakes out there; Steven Soderbergh’s stylish take on the 60’s Rat Pack vehicle has become a staple of the heist genre. And yet, with one of the greatest directors of our time behind the camera and an abundance of star power in George Clooney, Brad Pitt, Julia Roberts etc., the two sequels to the film failed to make an impression and it stands as one of the more underwhelming modern franchises. So with that in mind, how does Ocean’s 8 fare in comparison to its predecessors? Debbie Ocean (Sandra Bullock) is the estranged sister of iconic criminal Danny and is released on parole following five years in jail. With a passion for crime in her blood, she immediately sets out with best friend Lou (Cate Blanchett) and a team of talented con artists – Helena Bonham Carter, Mindy Kaling, Sarah Paulson, Awkwafina and Rihanna – to take advantage of a shallow model (Anne Hathaway) and steal some precious diamonds. Ocean’s 8 is easily the best this franchise has had to offer since it began; it’s a sleek and supremely entertaining sequel with a lot of charm. Daniel Pemberton’s score is great, the editing is quick and exciting, and the humour for the most part is spot on. It playfully replicates some of the story beats of the first film and makes a few references to it– Some more satisfying than others – but this isn’t a well it draws from too often. Ocean’s 8 has the confidence to be its own entity and that’s it’s best quality. The cast work wonderfully together, but Sandra Bullock is the clear stand out. Bullock hasn’t starred in a film since the 2015 flop Our Brand is Crisis, so with three years away from the spotlight, Bullock’s big screen return is a triumphant one. Within the first five minutes, Bullock sells the tricky nature of Debbie Ocean and fills out the room in every scene she’s in with a quick wit and an overwhelming confidence. Let’s just say there’s no trouble convincing us that she’s Danny Ocean’s sister. Her chemistry with Cate Blanchett is delightful; two conniving minds bouncing off each other flawlessly is an absolute treat to watch, and Blanchett is brilliant as always. The entire cast comes together well as a team, which is ultimately the most important part as the film would have fallen to pieces without that element. As far as the actual scam goes, Ocean’s 8 isn’t bringing anything new to the table in terms of the heist genre. You’re not going to be blown away by anything that takes place and the film certainly won’t end up in the conversation as far as the best heist films go, but what we’re given is clever enough and makes sense and the film more than justifies its existence by offering more than the previous two sequels. There are plenty of sequels that can’t even say that, especially 11 years after the last film. It does fall a little into the “Really?” moments that come as part and parcel with this genre, but they are easy to forgive. The worst that this film has to offer is a pointless Tinder joke – Will somebody please tell Hollywood that explaining how Tinder works does not constitute as an actual joke? – and an appearance by James Corden. I turned a little sour when he came on screen as I’d completely forgotten he was in it, but I’ve had to collect myself and be fair because my initial reaction was rooted far too deeply in my own personal feelings on the actor. Truthfully, it’s not a terrible performance, but it’s also not enjoyable. The issue is that he delivers it with a sense of importance that just isn’t there; it’s a very standard character that any actor could have pulled off, but the way he delivers each line feels as though he interprets himself to be far more enigmatic than he is. To top it off, he just sticks out like a sore thumb and the performance resembles any one of the performances he’s given on British television where it actually worked. As far as any other issues, there’s an argument to be made about the level of character development offered to the leading ladies and the relationships between them, but it’s honestly no worse than what we were given in the Sodebergh original. 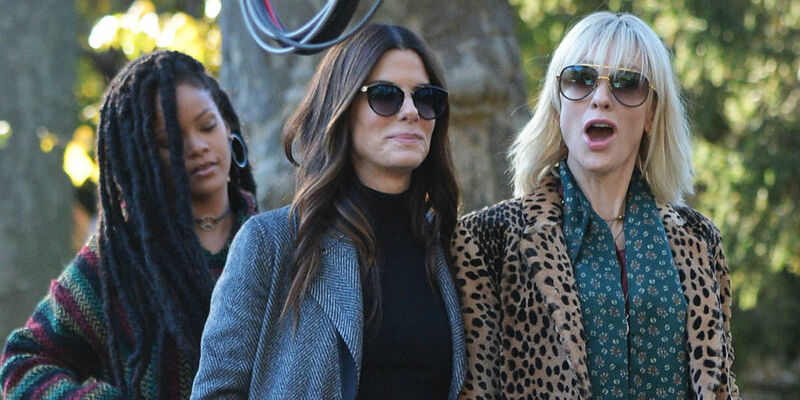 Ocean’s 8 more than justifies its existence by offering more than the previous two sequels in the form of a stellar cast, a killer score, an engaging story and an overall good time. At its absolute worst, it’s simply a very entertaining film that just happens to have James Corden in it, so I think it’s safe to say that this is a solid win. Bad Times at the El Royale – Brand New Trailer! I hope you have a taste for the weird and the wonderful, because Drew Goddard’s latest boasts an all star cast and looks to be an absolute riot. Jon Hamm, Jeff Bridges, Dakota Johnson, Nick Offerman, Chris Hemsworth…how are we supposed to say no to that? Goddard has already wowed with the excellent screenplay for The Cabin in the Woods and the Academy Award nominated The Martian, and this newest effort definitely looks up to scratch. Eerie, funny, and looks devilishly well crafted. For a good portion of my earlier life, I thought Scrubs was one of the worst shows on TV. I also hadn’t seen a single episode of it. I don’t know why I was so adverse to it back then, but it all changed when I was off school ill one day. Lying on the sofa, feverish and weak, I was watching Friends on E4. It finished, and up next was two episodes of Scrubs. Of course, I was a man of taste, I wasn’t going to sit through that tripe…So I changed to E4+1 and watched the exact same two episodes of Friends. But as I probably should have predicted, I was faced with the same dilemma. The repeat of the repeat of Friends came to an end, and with nothing else on TV and too weak to move to a different room, I laid there in defeat and allowed the medical comedy to play it’s two evening episodes. A few months later, I had seen just about every episode. Scrubs is the excellent comedy from the mind of Bill Lawrence starring Zach Braff as J.D., a young doctor with his heart on his sleeve and his head in the clouds. 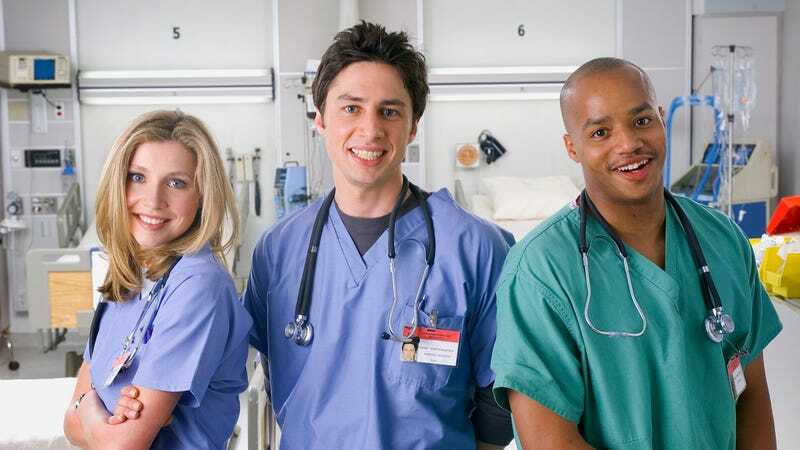 His goofy antics and constant daydreaming are often interrupted by the reality of the medical profession, joined by his best friend Turk (Donald Faison), on-off lover Elliott (Sarah Chalke), nurse Carla (Judy Reyes) and reluctant mentor Dr. Cox (John C. McGinley) along with a whole host of colourful side characters. Do yourself a favour; revisit that show you loved so much once. You know, the one that you adored when it was on but faded out of mind when all the big new shows came out and your priorities were torn. I loved Scrubs dearly but I completely forgot about it for the last several years, until I found out it was on Amazon Prime just a few weeks ago and now I’m gloriously reliving it. It’s one of the funniest shows I’ve ever seen; the physical comedy is excellent, the jokes are spectacularly written and the character dynamics are phenomenal. Every moment of it feels right, the right gags at the right time with the right characters, from J.D. and Turk’s searing bromance to Dr. Cox’s fast paced hatchet jobs of whoever decides to interact with him. The chemistry between the cast is fantastic, and the supporting characters are some of the best I’ve seen in a comedy, the highlights being depressed lawyer Ted Buckland and Neil Flynn’s nefarious Janitor, dedicated to making J.D.’s life miserable because….well, just cause. Everyone is perfectly cast; Zach Braff is an infatuating lead, and casting him as J.D. was a match made in heaven, though John C McGinley always steals the show as Dr. Cox, who may well be the best character. But, like any good comedy, Scrubs seriously knows how to tug at your heartstrings; more often than I remembered, it has a tendency to get very emotional, and it’s always effective. Being set in a hospital, the characters frequently encounters the realities of illness and death whilst tackling their own personal issues like friends, family and commitment. Sometimes it’s thought provoking, sometimes it’s heat-breaking, and all of the time, it’s enriching. I’d argue it’s among the best for taking you through the motions. Honestly, if you ever have the time, just take a trip back to the shows that fell behind. It’s a chance to embrace the nostalgia and look upon this work with fresh eyes. Scrubs is a wonderful show, and one of the most enjoyable re-watches I’ve ever had. Scrubs is available on Amazon Prime!